This is a lovely, weird, completely imaginative and creative story and I just loved it. The idea of using "found" photographs as inspiration for such a story is brilliant. Aside from that, I found it beautifully written and completely engaging. 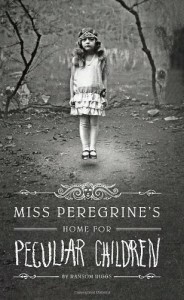 I honestly went into it thinking that the "peculiar" children were going to be very dark and ominous. I'm so glad to say I was completely wrong. Darkness there is, indeed, but it's an original darkness, inventive and pretty scary. I never knew what was going to happen in the story, and I LOVE that in a book. Everything, as fantastical as it was, made perfect sense, flowing from the logic Riggs created for this world. Beautifully done all around and I'll definitely be getting the second one!